This post was written by Seminarian Christopher Gillespie at Outer Rim Territories. 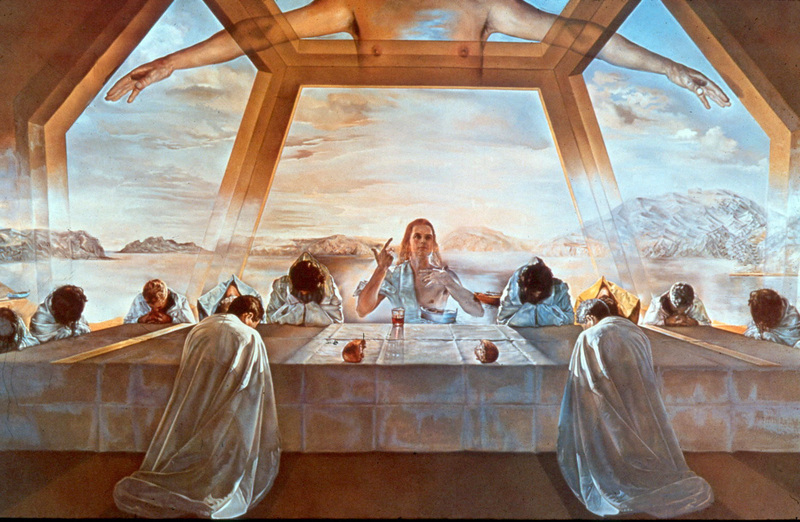 How is the confession of the Trinity a description of the church’s experience at the Supper? There should be no doubt that the Trinity acts in the Divine Service. We begin with the trinitarian invocation and end with the trinitarian benediction. Our psalms and collects end with a trinitarian doxology. Unfortunately for Lutherans, our catechetical heritage mistakenly cleaved God into three distinct characters- Creator, Redeemer, and Sanctifier. These descriptions accurately portray the principal action of each person of the Trinity. Yet, good intentions gave way to a near modal understanding of God. The Father acts in the way of the Law, the Son makes it right with the cross, and the Spirit helps us believe these actions as true. While teaching in simple terms remains useful, the simplification has altered the confession, and so runs a dangerous course of altering the liturgy of the church. In a reversal of lex orandi, lex credendi, the liturgy may be misunderstood in these simplified terms of theology. While the whole of the liturgy is necessarily trinitarian, it is also christocentric. The height of the Father’s love is the gift of His son Jesus Christ for the life of the world. The Spirit keeps our focus on Christ as the Word incarnate and the source of faith and life. “He comes to us and does things for us when we gather together in His name. He brings the Holy Spirit with Him and ushers us into the presence of His Heavenly Father. In worship, then, we come into contact with the Holy Trinity. We come into the presence of the Triune God and share in the ministry of Jesus.” We begin our liturgy with trinitarian invocation and absolution to prepare us for the Lord’s Supper where participation confesses the same. The liturgy entrance hymn, the Kyrie, reflects the Trinity with its triple reference “Lord… Christ… Lord, have mercy.” The trinitarian imagery continues in the Gloria in Excelsis, especially notable in Luther’s “All Glory Be to God Alone” and Decius’ hymn “All Glory Be to God on High.” Immediately following the Preface in the Service of the Sacrament is the Sanctus with its trifold “Holy.” The vision of Isaiah 6:3 is the Lord before the throne, whose glory fills the whole earth, as his body and blood are offered. The Nunc Dimittis refers directly to the Father’s gift of the Son, the salvation which is given “before our face” in the Supper. Jesus himself is the liturgist of the Divine Service. Jesus is the “Word that comes from the mouth of God.” (Matthew 4:4) This Word is made flesh. (John 1:14) Jesus, the Word incarnate, is the bread of life. (John 6:35;48) This Word feeds and nourishes His people. By the Spirit, we receive Him. And further, Jesus is the chief celebrant of the Service of the Sacrament. He feeds us with Himself. We receive Him as His Word says, “this is my body … this is my blood.” The Sacrament is not enacted by Jesus alone but is the body and blood conceived by the Holy Spirit in the womb of Mary and given by the Father for the sake of the world. The invocation of the Spirit (epiclesis) in the liturgy of the Sacrament follows Luther’s explanation of preparation for the Lord’s Supper. “Fasting and bodily preparation are in fact a fine external discipline, but a person who has faith in these words, ‘given for you’ and ’shed for you for the forgiveness of sins,’ is really worthy and well prepared.” The Spirit is invoked to strengthen the faith of the recipients so that they are truly worthy and well prepared. The Creed sits in the middle of the Divine Service providing trinitarian focus. The Creed excludes error and summarizes our understanding of the Trinity. 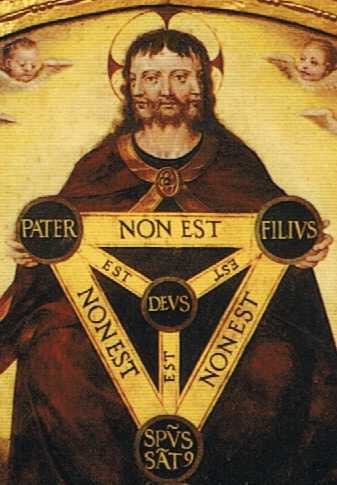 It leads us to the full expression of the Trinity as He is present in the Supper. 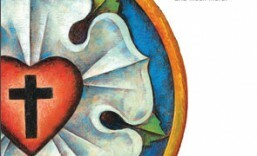 The Lutheran liturgy especially in the Sacrament is christocentric, focused upon incarnation, and sacramental, following with God’s trinitarian self-disclosure in the Word. When the church celebrates the Lord’s Supper, it confesses the doctrine of the Trinity. The community of believers gather to hear the Word of the Father, the Son incarnate in body and blood, and the Spirit’s faith-giving breath. The communion of saints mirrors the trinitarian fellowship (koinonia) of Father, Son, and Holy Spirit. God dwells with His people. In His supper He dwells within (perichoresis) His people. In the Word and Sacraments, the whole Trinity acts to redeem His people and keep them steadfast in this faith into eternity. The Lord’s Supper is not merely the presence of the Son but demonstrates the unity of the Trinity, acting for the salvation of man. Next: Exscursus: What is Lutheran Worship? For a fuller exposition on this theme see: Maschke, Timothy. “The Holy Trinity and Our Lutheran Liturgy” Concordia Theological Quarterly 67 (2003) no. 3-4:241-269. “When we speak of the relationship between the Trinity and worship, we are speaking of the relationship between theology and liturgy. Since theology is the language of Christ and liturgy is the language of the church, their relationship reflects the marital union between Christ and the church. In other words, theology is to liturgy as husband is to wife. This defines theology as the source and life of the liturgy, and liturgy as the expression and glory of theology” (Bushur, James. “Worship: The Activity of the Trinity,” Logia 3 [July 1994]: 3). John W. Kleinig, “The Biblical View of Worship,” Concordia Theological Quarterly 58 (October 1994): 247. AC V:1-2, Kolb and Wengert, 40. “Where Jesus’ words are going on, there is also the Spirit (John 6:63). Any spirit apart from Jesus is not the Holy Spirit (John 16:15). The Holy Spirit is most pleased when we speak of Jesus and not of him. He gives only Jesus gifts.” (Norman E. Nagel, “Holy Communion,” in Precht, Lutheran Worship: History and Practice, 290. “The chief celebrant is Jesus, our great high priest in the heavenly sanctuary. He leads us in our worship by representing us before the Father in intercession and thanksgiving (Hebrews 7:25; 9:25) and by representing God the Father to us in proclamation and praise (Hebrews 2:12). By means of His service in the heavenly sanctuary Jesus leads us, together with the angels and the whole communion of saints, in the performance of the heavenly liturgy (Hebrews 2:11; 8:2; 12:22-24; 13:15).” (Kleinig, “Biblical View”, 246. This entry was posted in Divine Service & liturgy, How Lutherans Worship and tagged Liturgy, Lord's Supper, Trinity, Worship. Bookmark the permalink.